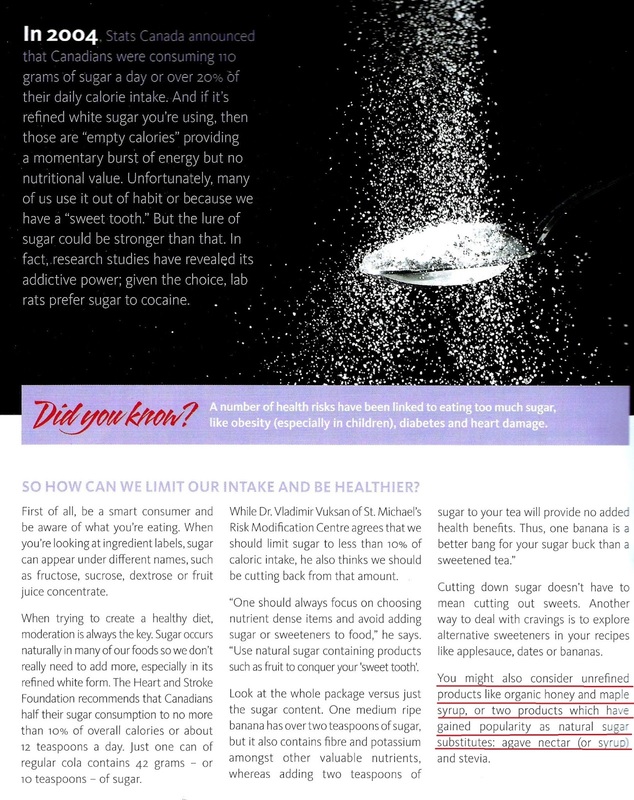 St. Michael's Hospital Foundation, in the summer issue of their patient magazine Urban Angel, have an article on sugar and ways to cut down its consumption. "Another way to deal with (sugar) cravings is to explore alternative sweeteners in your recipes like applesauce, dates or bananas"
"You might also consider unrefined products like organic honey and maple syrup"
They then, on the next page, go on to describe maple syrup as a source of zinc, manganese and calcium, containing 90% less sodium than sugar (less sodium?! ), and that honey's slower absorption makes it better. 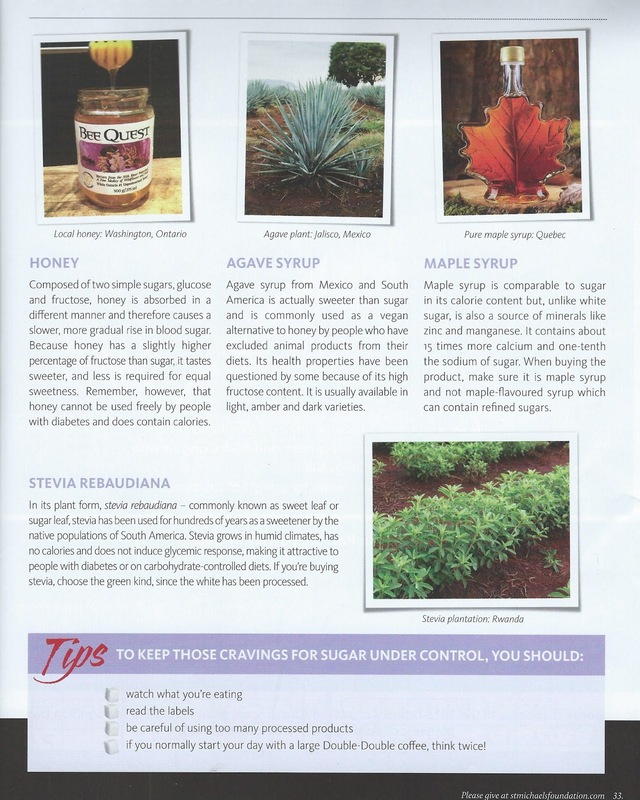 Healthwashing honey, maple syrup and agave nectar by perpetuating the naturalistic fallacy and using words like "organic" and highlighting trace minerals is not something any health foundation should be doing. 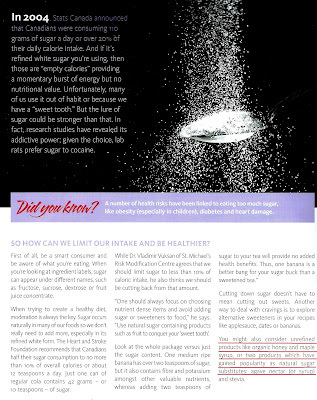 Free sugars are free sugars regardless of how "natural", "organic", or full of manganese they might be. "The Heart and Stroke Foundation’s position statement on sugar indicates that excess consumption of free sugars is associated with a number of adverse health effects. It encourages Canadians to avoid drinking their calories, including honey and syrups. Instead the Foundation encourages Canadians if they have a sugar craving to consume whole fruits, which are packed with heart-healthy minerals, vitamins and fibre." For all intents and purposes honey, maple syrup and agave nectars are all free sugars and hence, the stuff we should be minimizing, not healthwashing. If St. Michael's Hospital Foundation want to do right by patients, they should publish a prominent correction in their next issue.